A few months ago, we were contacted by Zach McNees, a reporter from SonicScoop. He want to make a review of our TOTAL FOLEY COLLECTION PACK. A few weeks later, he published a personal review of the instruments, and today, we want to share it with all of you! 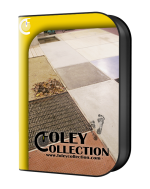 We want to thanks Zach for all the work he had done with foley collection review! Thanks Zach! !